Topics that related to different technology. /u01/app/oracle/oradata/NPDB/redo03.log ( From the Above Query ). Failed !!!! with Another Datafile which is UNDO. But this Not Solved the problem either. Drop the Undo And Recreate it again. Cubes in a data warehouse are stored in three different modes. A relational storage model is called Relational Online Analytical Processing mode or ROLAP, while a Multidimensional Online Analytical processing mode is called MOLAP. When dimensions are stored in a combination of the two modes then it is known as Hybrid Online Analytical Processing mode or HOLAP. The underlying data in this model is stored in relational databases. Since the data is stored in relational databases this model gives the appearance of traditional OLAPs slicing and dicing functionality. The advantages of this model is it can handle a large amount of data and can leverage all the functionalities of the relational database. The disadvantages are that the performance is slow and each ROLAP report is an SQL query with all the limitations of the genre. It is also limited by SQL functionalities. ROLAP vendors have tried to mitigate this problem by building into the tool out-of-the-box complex functions as well as providing the users with an ability to define their own functions. Oracle Security Topic, what you should be Afraid of ? SQL injection Occur when someone ( Hackers ) Writing Web application code that access to your database this code contain special format. Users connect to database using Listener, Even database is down and listener is up user can still open connection to database ( which is caused the problem ) you can access to the server because there is no authentication way in listener, lot of examples on this type of attackes. to solve this issue you need to Patch & patch OS and Database to ensure all security bugs and fixed. there’s different type of oracle vulnerabilities Buffer overflow , listener issues , misunderstanding configuration and PL/SQL which indicate to SQL injection. most of our fears is not outside hackers/attacker it’s internally such as employee, hacking lessons online on internet and free everyone want to try it where mostly in work, in 2008 reports indicate that 26% of hacking issues happened because employee ignorant. Company ignore security side because Resource such as money and consultant but they will not do that after they get hacked and lose everything data and customer information. Most of the company has network administrator and system administrator so if you secure OS & network well your database will be secure. Name Different In One Thing Apps , Both Are DBA for the same corporation but before going further you need to know what the definition for both of them what APPS DBA mean and What Oracle DBA mean ? Oracle DBA ( Database Administrator ) is the person who responsible for administration , Monitor , tuning and recover database ( Failure cases ) For Oracle Database this Person Called Oracle DBA. 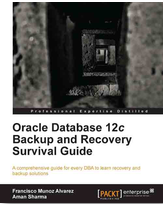 For More Information Read oracle Documentation Here. Development DBA & Production DBA each one of them has it’s own job and Tasks. well from the name you can see it’s person who works closely with developers team to make sure database design and performance are working find without any problems. Person who responsible to ensure that Database for this company is healthy and running without any problem it’s not easy job since this type of Database is the main database for company so you have to ensure it’s working fine or you will be fired. After you have small knowledge about DBA tasks and What he is doing ? Let’s talk about APPS DBA. ORACLE APPS DBA = Application* + Database. *Which Application is Fusion Middle Ware Products from Oracle. If you are aware of all the previous tasks then you are able to be Oracle APPS DBA, Oracle APPS DBA include all Oracle DBA tasks and it’s very huge subject to learn and explorer. So as conclusion Oracle APPS DBA is an Oracle DBA because of this he can switch easliy between this job Role, and don’t let this disappointed you also Oracle DBA can switch to APPS DBA but he must read LOT. There’s another kind called Bundle Patched for windows and exadata. The most two kind of patch that people get little confused about them is CPU and PSU what are they ? when should i use them ? is there any different between them ? First Thing you need to know about them since they have different name then sure it’s have different. CPU: security fixes each quarter rather than the cumulative database. PSU : same as CPU patches but include both the security fixes and priority fixes.Note Once a PSU is applied, only PSUs can be applied in future quarters until the database is upgraded to a new base version. Which mean you can’t Apply CPU and PSU and same database. PSU contain fix for bugs that cause Instance crash,Wrong results and Data Corruption on the other hand Dictionary changes , Major Algorithm changes ,and Optimizer plan changes not fixed by PSU. DBMS_JVM_EXP_PERMS package that allows any user with create session privilege to grant themselves java IO privileges. Identified by David Litchfield, Also you need to know this way of hacking it’s only works on Windows and Oracle database version infected 10gR2,11gR1 and 11gR2. As you see at first User Test Only has Create Session Privileges but after using the above package he now can execute any OS Command using Java Code.